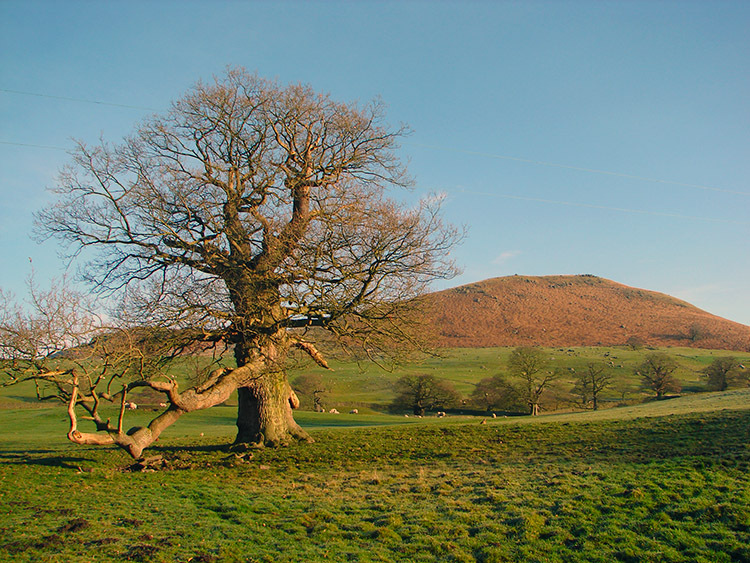 Summary: This is a splendid walk with lots of interest to spark the imagination of most walkers. 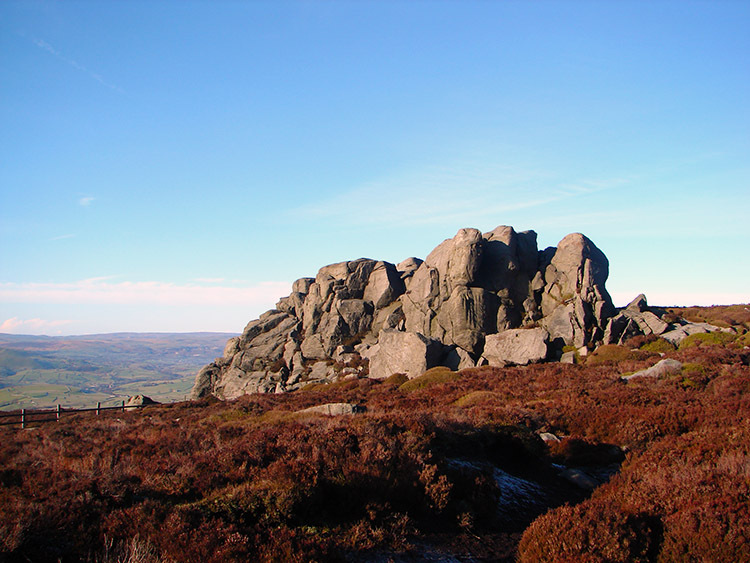 It has an initial climb of over 350m from your starting out point at Bolton Abbey to the highest point of 485m at Simon's Seat. 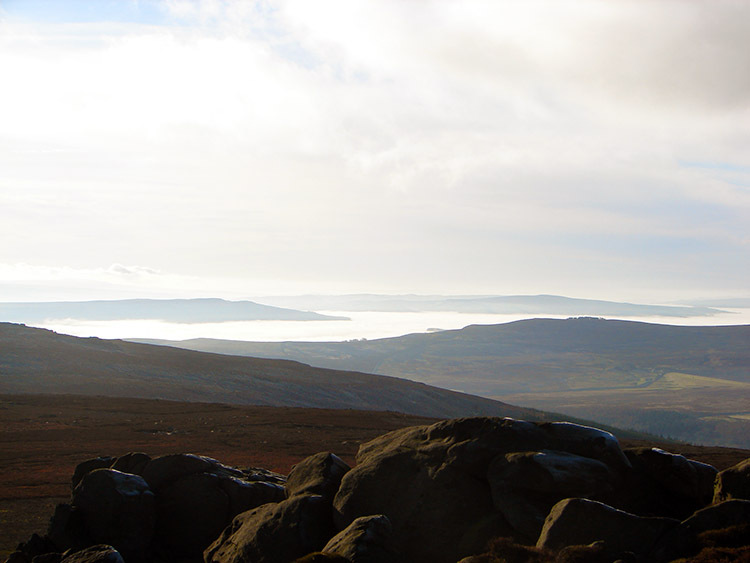 The climb is well worth it as you walk through the scenic valley of desolation on to Barden Fell. At the highest point you reach Simon's Seat. It is a place that offers splendid views of the surrounding area on a clear day. 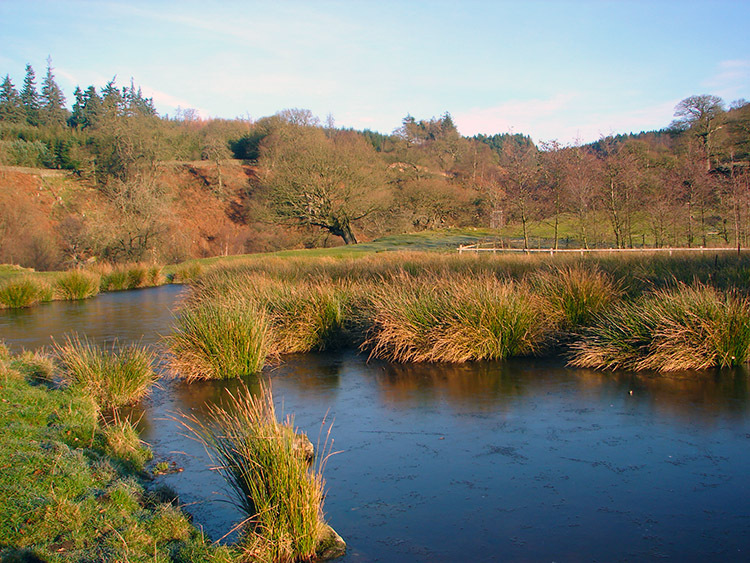 After taking lunch here you can then look forward to descending to Parceval Hall and magnificent Troller's Gill. 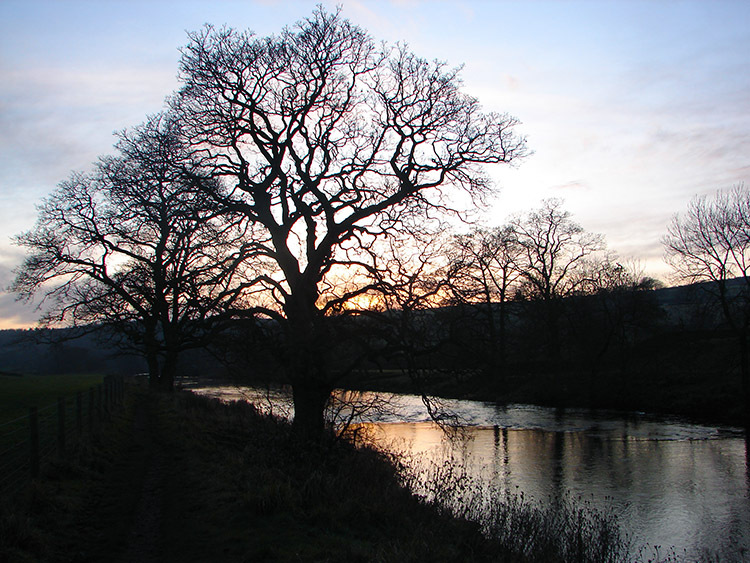 This is followed by a pleasant walk over to Appletreewick before continuing along the banks of the River Wharfe. Then you finish off with continuing to follow the Wharfe as it becomes agitated in the rapids and waterfalls that are to be found in the famous Strid Wood. 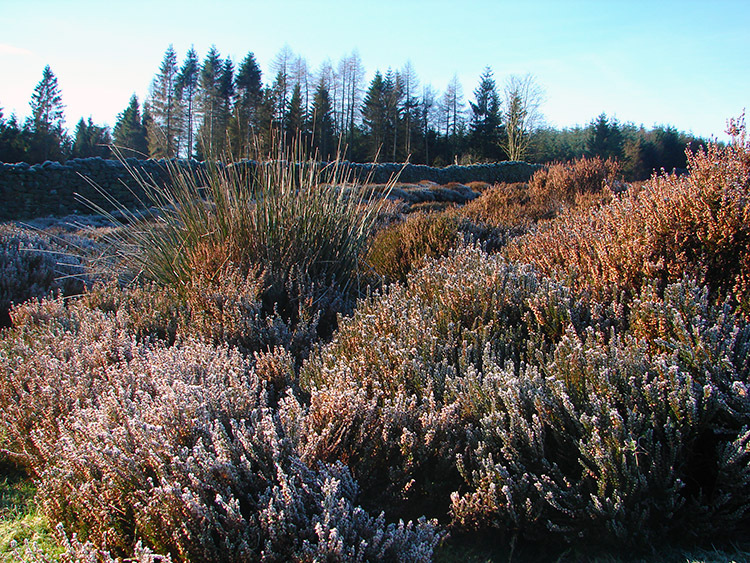 This is a brilliant adventure and on the general course of the walk there are lots of subtle changes and features to make the walk truly memorable. The Walk: I have completed this walk on many occasions, it being one of my favourite local walks. The particular walk featured here was an international affair for it was undertaken in the pleasurable company of Leena a lady from Finland, Dorothee a lady from France and Ondrej a gent from Slovakia. Oh, and Dave a brother from Starbeck! The location, the weather, the company. I had all the ingredients of a fantastic day out walking and so it proved to be. It was about 10.30am when we finally got walking with 13 miles ahead of us. The sun was shining brilliantly as we climbed from Storiths towards the Valley of Desolation with my companions getting to know each other - although Dave, Dorothee and Ondrej knew each other Leena had not met them before today. All would get on fine. 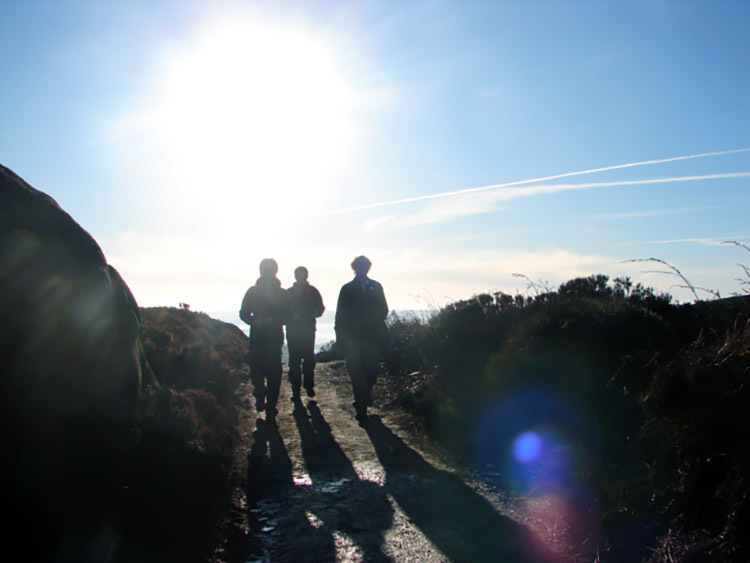 In fact that is one of the great joys of walking with new people, in all my experience there has seldom being a bad match and many friendships have been forged on the fells. One thing is certain, all enjoyed the first highlight. 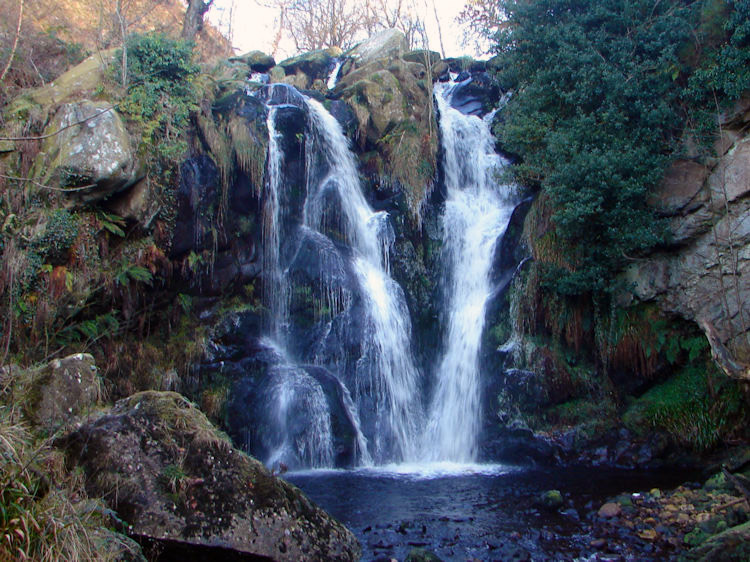 Posforth Gill feaures a magnificent waterfall which propels the waters of Barden Fell towards their destination, the River Wharfe. It was one of those missed opportunities for many years when I first ventured through the Valley of Desolation with good old Steve now of New Zealand. 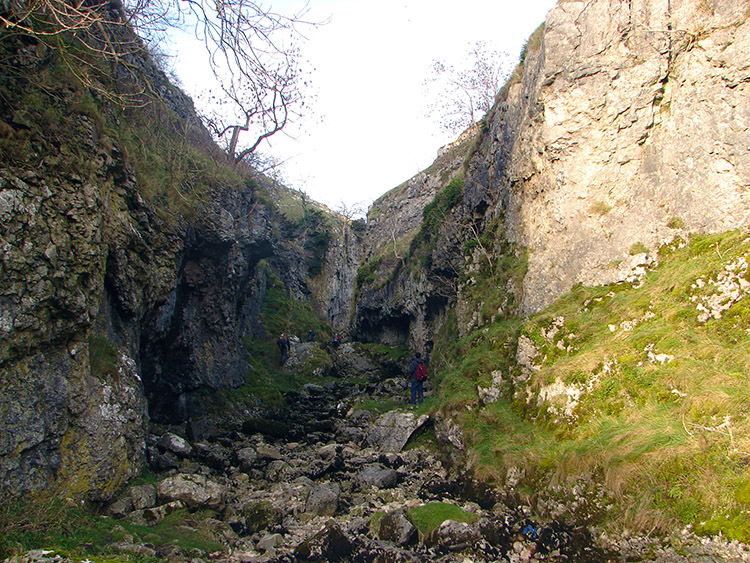 We always seemed in a rush to get to Simon's Seat via a higher path leaving Posforth Gill forgotten. No more, I always track the lower path to the waterfall now. My companions of this day and I enjoyed a little quality time taking in the spectacle and taking photographs. Looking back one of the reasons for our nightlight finish was because Dave, Dorothee, Ondrej and I kept stopping to take pictures. As the sky was brilliant blue the colours were vivid and not only that but as the sun never got to many parts on its low winter sky journey it left lots of flora to the frost which encapsulated their leaves and fronds in translucent ice crystals. This gave us wonderful opportunities to take close frozen shots. For a while through the Valley of Desolation and on the lower parts of Barden Fell it seemed at least one of us was stopped taking pictures. Eventually the cameras were put aside for the climb up to Simon's Seat but they quickly came back out when we looked back to Wharfedale as it was completely enshrouded in low cloud. It was the most beautiful view and I thought to myself on the ascent that this was the best ever time I had been on the fell. The weather was cold but the cold allowed for the brilliant beauty around us all. And I am pretty sure we all felt blessed on the climb, so much so that I never felt the climb at all. 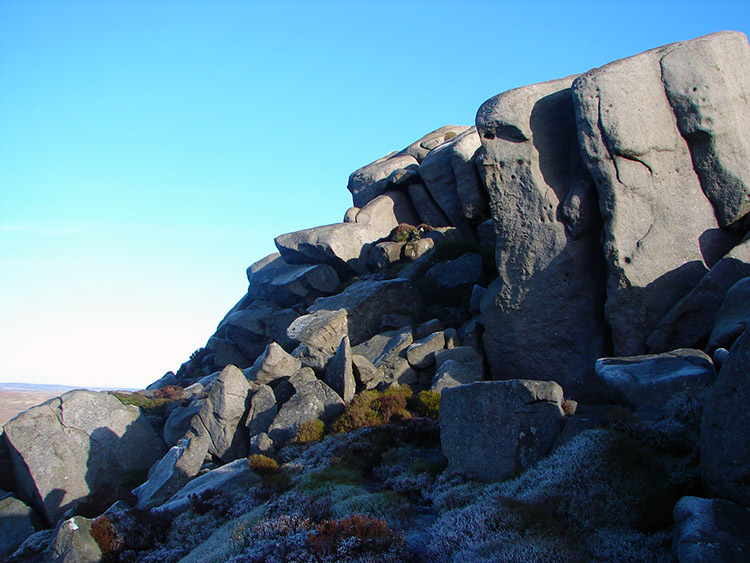 And when we got to Simon's Seat it was every bit as good as I had hoped. We took lunch whilst enjoying the clear views of the surrounding countryside. 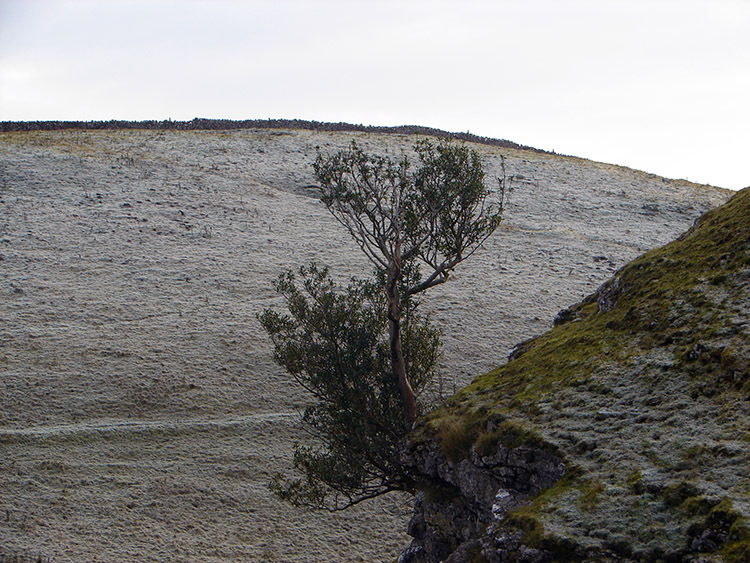 After lunch we made our way off Barden Fell by zigzagging down the icy track to Dalehead Farm. For about 4 months the sun never shines on the path down this section at all and as a consequence some parts were ice sheets. It had to be conquered gingerly and so it was. We got down the descent slowly but we got down safe. 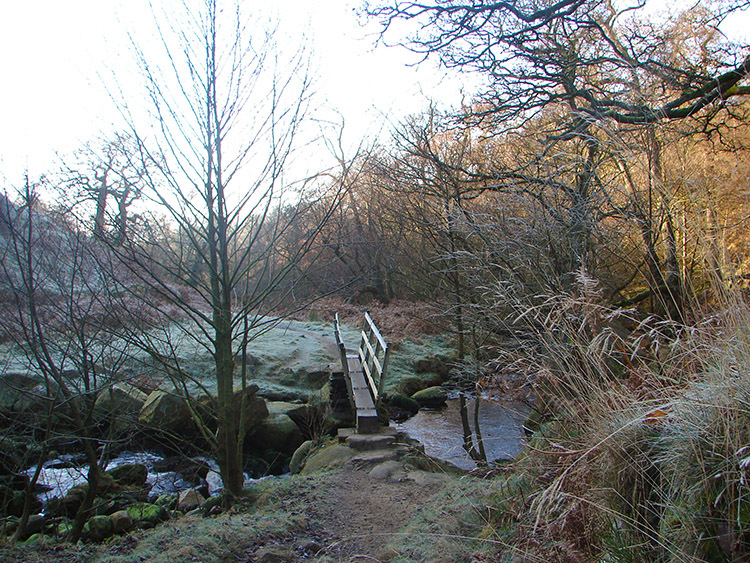 Then we crossed gentle fields to Skyreholme Bank via the stone bridge across Blands Beck. 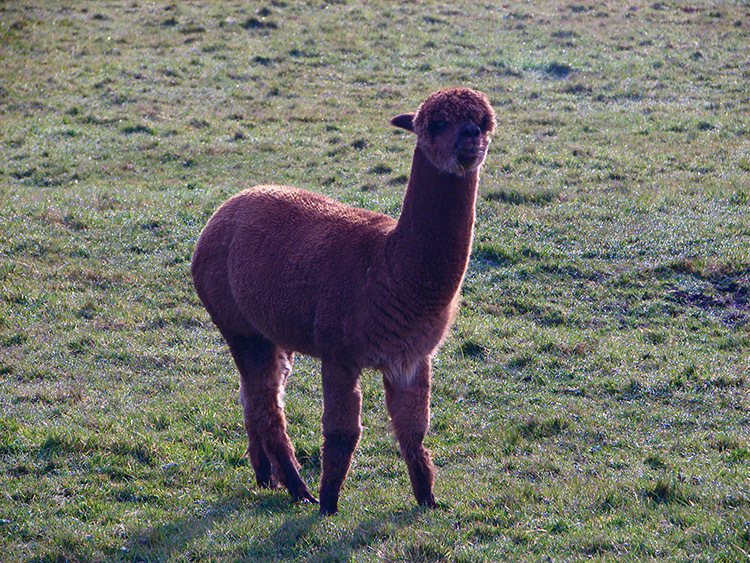 And once in Skyreholme we met a couple of Llamas. After our South American experience we moved on through Skyreholme to the Parceval Hall cafe. Disappointingly it was shut, we could have all done with a cuppa but best we moved on and soon we entered another special section of our journey past Old Man's Scar to Troller's Gill. On this part Ondrej decided to do some exploring. I don't blame him, it is a beautiful spot and one I always enjoy. He rejoined the group as we threaded our way through the needle that is Troller's Gill. Always fascinating, always sublime, always enjoyed. On the north side of the gill there is an old miner's cave that Ondrej just had to explore. Dave joined him, I had done it before. The girls chilled out in the afternoon sunshine. Best to enjoy it, there was not much left. 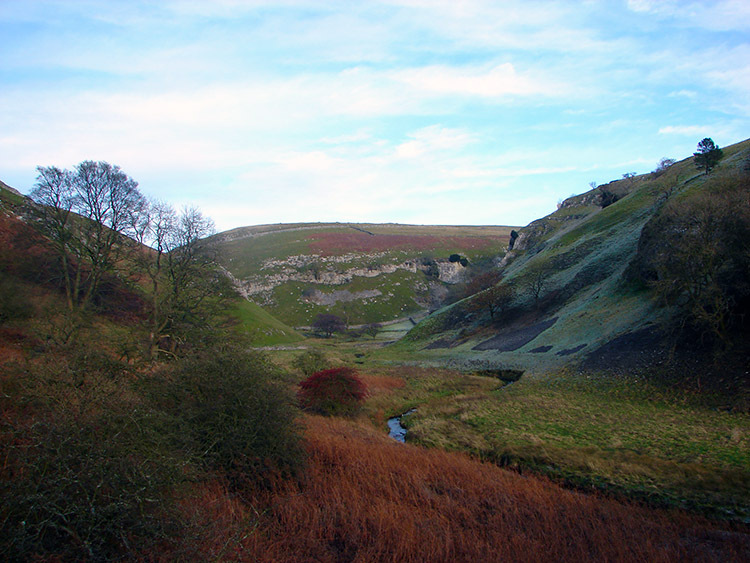 After the cavemen were finished trogloditing we then completed the walk through Troller's Gill and crossed the now above ground Skyreholme Beck onto Middle Hill which took us towards Appletreewick Pasture. We gambolled with the sheep across the high fields with Ondrej doing a spell of shepherdry to get errant animals back onto the grasslands. As we descended into Appletreewick I noted the low sun. "Not much light left" I mused. After walking through Appletreewick we tracked down to the River Wharfe. 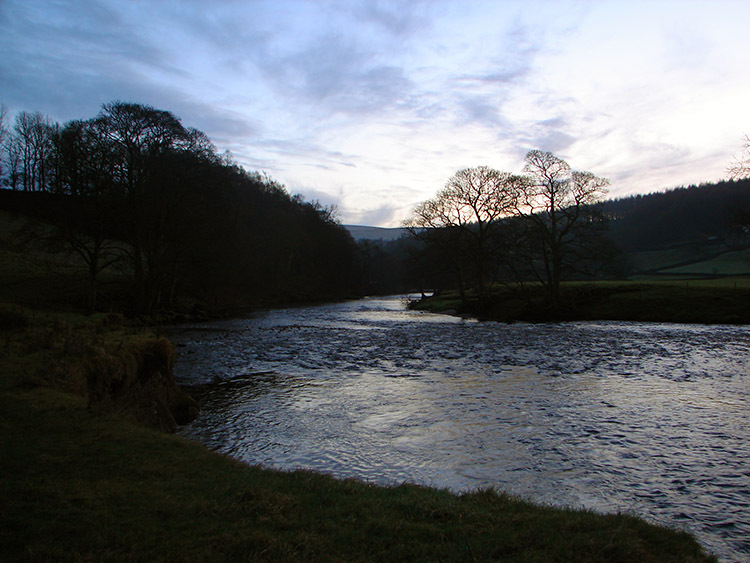 As we reached the river we all noticed the dusk was not far off and so we all walked briskly over the fields along the river to Howgill Bridge. From there we marched on to Barden Bridge and as I led out I saw tired faces, happy but tired. Dorotee in particular deserved to be so having done a sleep over working the previous night. Despite the nightfall we soldiered on. At Barden Bridge it was getting dark but we stopped for a last brief time for some to have a quick drink and I had a lovely chocolate cookie coutesy of Dorothee. Quickly refreshed for the final push we moved on to the folly bridge which we crossed to negotiate Strid Wood. 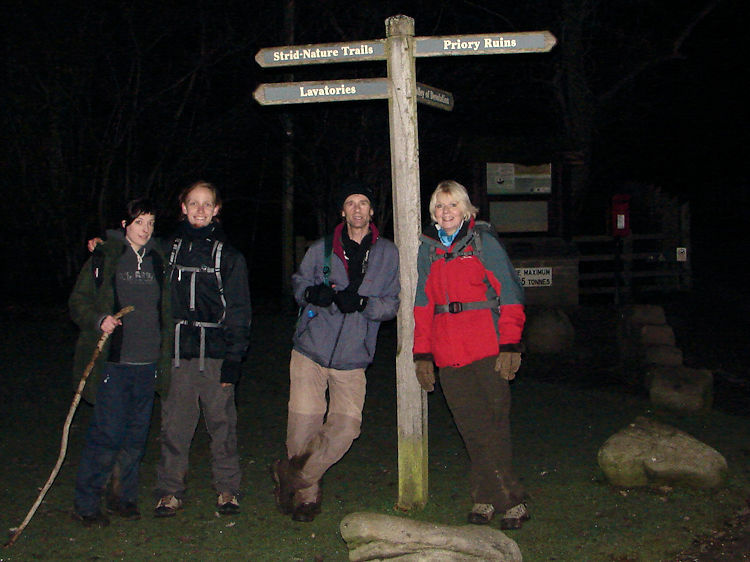 Thankfully the paths in Strid Wood are so good because it was seriously dark in there as the night had closed in very quickly. The team whistled and hooted at times to remain in contact and we all got through safe and sound. It was brilliant.